WOW ... most interesting. And in my estimation, doable and effective. Totally agree with your sentiments regarding ordination, but I'd also suggest noncompliance with the 501-C3 requirements as a healthy start. The kingdom of God can/will certainly thrive apart from tax deductions where GOV is the master. I don't disagree. However, as part of a 501-C3 non-profit (e.g. 'local church'), I don't think we could have drilled 100 water wells in Africa, build local homeless shelters, a women's shelter, a hospital for the underprivileged in Niger, establish a mission and medical headquarters in Majuro, RMI, and do the countless other projects without a "tax credit" for the donors who gave to help us. The church can exist without it, but this local non-profit (e.g. 'local church') is trying to do for others what they can't get done themselves. I apologize for the lengthiness of my response but Wade proposes a lot of suppositions that deserve challenge. To imply that a process for examining and approving church leadership (commonly labeled as "ordination") is not a valid representation of the New Testament model because the word "ordination" is never used is like saying there should be no doctrine of The Trinity because the word "Trinity" is not used in Scripture. The absence of the term "ordination" certainly does not negate the fact that such a process did indeed take place in the early church and merits continuance in order to maintain the integrity of the church's leadership. "Licensing" and "ordination" are not considered to be the same. Wade explains the necessity of having a secular "licensing" of leaders of religious institutions to accommodate necessary government scrutiny as to whether or not someone is a leader of a religious institution that benefits from tax advantages, etc. Of course this in no way should be compared to the "church" process for examining its leadership, "ordination". That process is done to assure the church maintains those spiritual attributes necessary to protect the integrity of its teachings and manner in which it functions under the leadership of Christ. There is no comparison between "licensing" and church "ordination", at all. To propose that these two terms are interpreted by all Southern Baptist churches (or even a large number) as being synonymous is inaccurate. On another point, Wade mentions that the "licensing" and "ordination" of a minister should not be done simultaneously. To the contrary, Southern Baptists presume that those who are "ordained" are to begin serving in the role of church leadership and will no doubt eventually, if not immediately, be required to serve as a representative for the church. In this capacity, they will likely be expected to render those authorizations required by the Government on behalf of the church and demonstrate its existing as a credible religious organization. It is of course appropriate to include "Licensing" when "ordaining" a minister. 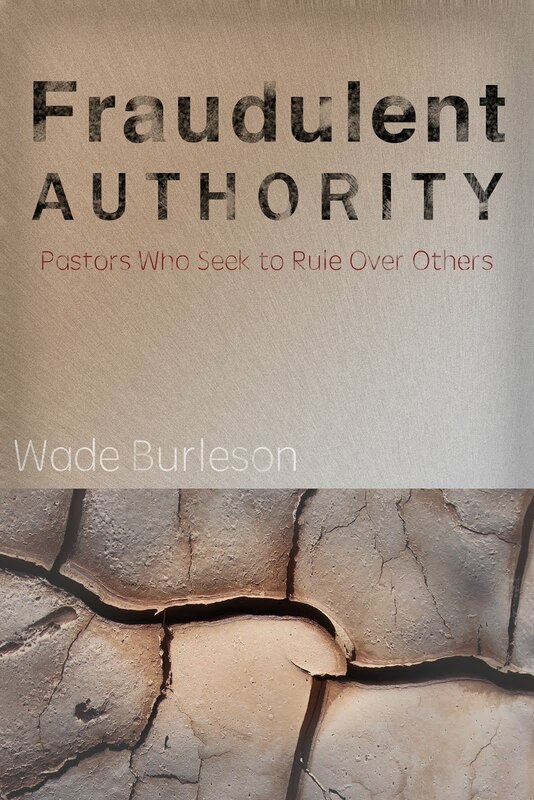 Neither do I agree with Wade's assessment that Southern Baptist Churches view the process of "ordination" as invoking some sort of "authority" over anyone. I have personally never considered that to be the case nor have seen it implied in the process. Perhaps there is some wording during ceremonies, etc., which could be mistakenly construed to imply such, but I am not aware of it. The twisted view of ministers having a position of "authority" is determined by individuals implementing the position, not the process for proper examination. Another point of disagreement; the confirmation of those serving as church leaders should not be restricted to a local group with whom they are serving or even considered to be based upon a temporal basis. It is a worthy "calling" to be called into ministry whether one does it as a full time occupation or as a layperson. There are certain positions in church leadership that are uniquely defined as being distinctive assignments in Scripture and deserving of close examination and approval. Again, it is a spiritual matter and one is not disqualified by changing the location of their ministry. Finally, the analogy of perverted people who use the ministerial title and former affirmation to prey upon vulnerable victims as being a basis for not using the examination process is ludicrous. The failure of local churches to assess the credibility and historical records for candidates being considered for ministerial leadership positions is the problem. That failure falls upon that church alone, not the process depicted in the New Testament that should be followed to examine and confirm leadership candidates. "I don't disagree. However, as part of a 501-C3 non-profit (e.g. 'local church'), I don't think we could have drilled 100 water wells in Africa, build local homeless shelters, a women's shelter, a hospital for the underprivileged in Niger, establish a mission and medical headquarters in Majuro, RMI, and do the countless other projects without a "tax credit" for the donors who gave to help us. The church can exist without it, but this local non-profit (e.g. 'local church') is trying to do for others what they can't get done themselves." Honestly seems like double speak to me, Wade. Either Christ is able to build his body apart from GOV or he's not. There is actually a pretty sustainable movement of churches across the US to opt out of the 501-c3 programs for the same reason I'm wouldn't recommend anyone getting asking the State for permission via license to marry - the byproducts of that union become subject to the State's authority. GOV is good at taking a right away and selling it back to the public in the form of a license for profit. off topic - "sort of"
except that, in the core of their being, something has resonated in response to that 'call' that finds its expression in the care of those who need Christ's love. This is a holy thing. that God, in His Providence, brings together the ones in need of love and the ones whom He calls to help them. And sometimes it is the very ones who say 'I thirst' who, in their capacity to evoke kindness from us, are ministers to us in ways we fail to recognize. I couldn’t find on Google when the IMB told THEIR missionaries to stop what they were doing and join a TEAM to start churches. It seemed it was more important to increase the number of churches than it was to win the lost. Doctors in SBC hospitals were told to stop their work and join a TEAM as the hospitals were being sold. I believe SB became TEAM crazy. The name “Committee” was changed to Team. I remember when our church was switched from Committees to Teams. When people volunteered for a team, the pastor would select the leader of each team and those leaders would be on HIS “Personal Team”. THAT Team would chose what direction God wanted the church to go. His Team never happened because the deacons wouldn’t go for it. 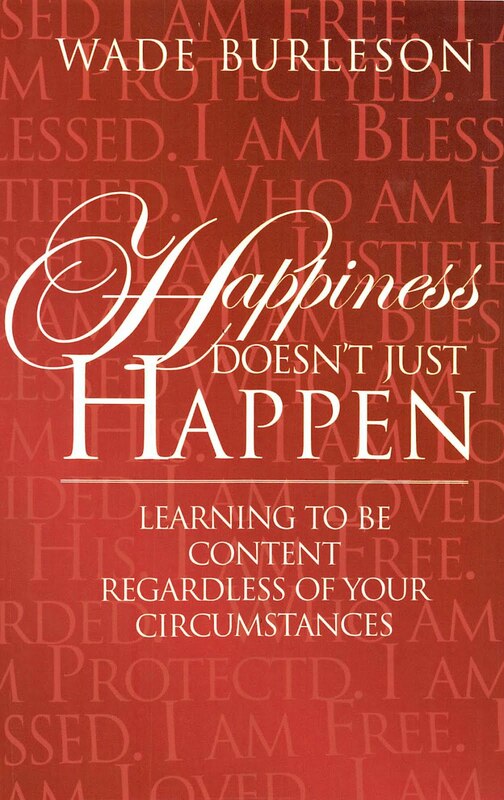 Exceptional word! Also BOLD in light of the sensitivity that a majority of the "powers that be" in the SBC have toward women. I agree wholeheartedly with your wording and it's intent. Thank you for speaking up and not backing down. I have followed you for years and glad that you are having an opportunity to continue to speak into the SBC. A possible way of "threading the needle" regarding deductible gifts for larger scale projects beyond the basic "local flock" ministry would be for a non-501(c)3 religious entity to control a non-profit private foundation that received and "passed through" deductible contributions for such purposes. This isn't to reject 501(c)3 entities as legitimate institutional "clothing" for local assemblies to "wear". But I do think that the exemption from the filing of Form 990 should be done away with. In our day it seems that a lot of information that ought to be public is being concealed by means of this exemption. Lots of good ideas, Wade. Thank you. A little over 40 years ago, we were part of a group of people who started Covenant Presbyterian Church. I happened to have been "ordained" as an elder at a prior shall Presbyterian Church, so was seated as one of the 12 elders of Covenant. As we established the By-Laws, we decided that Covenant should not and would not recognize ordination or licensing from any other church, but that we, acting as The Session, would examine them all, before approving. Not only did that work quite well, but I recall fondly the caliber of people ordained thereafter. They were all men of the finest character and integrity. This link says Johnson got it passed in 1954 as a senator. It prohibits churches etc. from endorsing or opposing political candidates. Many politicians including Trump have sought to repeal it because it restricts free speech. The book, “LBJ and the Kennedy Killing” states Malcolm E. Wallace (Mac) was killed for wanting more money and ‘loose lips’ in bragging he’d killed 17 people for LBJ. In his first killing for LBJ, the jury convicted him of murder, but President LBJ’s influenced the judge to overrule the jury and gave Mac a 5 year suspended sentence. If Mac got in trouble, LBJ took care of it. Once, Mac killed a man by shooting him five times, but LBJ had the coroner rule it suicide. Years later, unknow fingerprints in the “snipers window” were identified as Mac’s. Another shooter, James Files, said he used a ‘mercury bullet’. Since mercury never goes away, if an autopsy of JFK’s head was done today, traces of mercury would be found proving there was more than one shooter since other bullets were lead. Bob brings up good points that support Wade's proposal that "ordination" status not travel with the minister when he moves and serves in a different place. Bob mentions the practical and wise process of examining any new candidate for ministry prior to allowing them to serve in a position. As I understand his description, Bob's church decided they would not accept an ordination done in another church as being valid in his. Apparently, Bob's church then re-ordained the candidate for service in his church. Of course, any church considering a candidate for ministry should go through a process of interviewing, perhaps even giving a time of probation, prior to asking a new arrival to serve in a ministry position. The church considering the candidate would be foolish NOT to do background checks and getting references from prior ministry assignments. But what does that have to do with the "ordination" status of an individual? Guess it's a matter of how one defines that process and the intent as interpreted from Scriptural models. I personally do not interpret the status of "ordination" as being limited to the place one is originally examined and confirmed. Typically, all churches closely examine and interview pastoral candidates prior to their being asked to serve in that position in a church whether they have previously gone through an "ordination" process or not. The same process would, of course, be appropriate for a deacon prior to their being asked to serve given that position is also identified as being a distinctive ministry position with a distinctive calling from God and process portrayed in the Bible for confirmation. I view what we are referring to as the "ordination" process as being a validation of someone who has a distinctive "call" by God to enter into a ministry position as addressed in Scripture. I do not see such a calling as being an assignment to ministry in a particular congregation. I do not see it as a "job" in a church. I view "ordination" and those who qualify for it more in terms similar to those of "baptism". When a person professes faith in Jesus Christ and surrenders their life to Him, they are qualified to be baptized in most Baptist churches. In the event they move their association and fellowship from one congregation to another, it is not typically considered necessary or appropriate to baptize them again, at least, not in most Southern Baptist churches. I might also add that we did not have an "Ordination Service" with laying on hands, etc etc. The "Session" of the church simply voted on the candidate, and then announced it. Within the church we have two groups of people. Saints acceptable to God and people who are acceptable to other men/women. With regards to being able to get a tax credit for donating to a "good" program shows the heart of the donor. If God prompts a person to give to a Godly cause, then also wanting a tax benefit shows the true heart, in my mind, of that donor. Both my wife and I go regularly overseas without financial support or sponsorship from a Church in our country, to a developing country where, if I set a foot wrong, I could be imprisoned for causing a person to carefully consider their need to worship the "right" God within that country, i.e. to change their mind on the God that they worship, even to start the conversation is a jailable offense. We go and minister within that county regularly, but the church we attend back home would not necessarily consider that we are a suitable couple for the role of going overseas to serve God. In fact, a pastor I had words with concerning his understanding about scripture got hot under the collar that we were going overseas to minister. I had to finally inform him that I had a personal invitation earned over 20 plus years of visitation to that country by the pastor of the church that we regularly visit. We also do not ask others to support us, as we trust that God will provide the means to do the ministry that he may require while we are there. This is called walking in faith with God. To be sensitive to His prompting and to go wherever His prompting leads. So often a new pastor is called through human endeavours and process. Sadly, the promptings of God plays little or no part in the selection process. The ramification of bad choices litters the pages of local church history. After 9/11 missionaries in this developing country were called to return home by their mission board. From memory they were Baptist, and because of a fear for their safety, this became the primary reason for their recall. This missionary family were devastated by the decision made outside of their control. Many people are called by God, but a "peer" committee gets to make the decision of when, how and for how long they can serve through the ordination or the withdrawal of ordination responsibilities that committee has. My little rant for the moment. Thanks for your work led by the Holy Spirit. There’s so many years gone by when I was ordained as a deacon, I don’t remember any of the long prayers that were said except one man said only three words. I didn’t see who said “I love you” but I recognized the voice of my twin brother. He was selected on the “All State Team” each of the two years he played basketball in Alaska, and almost broke the ‘four minute mile’. Now he needs assistance to get in a wheelchair for dialysis three times a week. He lives with his daughter in Seattle. We’re going to visit him next month. We’re the closest members to a small county church where I was selected to be a deacon. I was a charter member 73 years ago. Tom, I believe God gives us different ‘talents’ to accomplish his work. I believe yours is the ‘highest’, but I relate to the song, “We’ll Work Till Jesus Comes”. We were 20 year members of “Volunteer Christian Builders”, and years with “The MASTER’S Builders”. One trip to Kyrgyzstan, four trips to Israel, can’t count number of trips to Mexico, and thirteen to Japan. Also worked a year building our ‘big’ church next to the old one. Built a 20 foot high arch over my father’s driveway 50 years ago. This year, Judy and I put at seven foot star on top of it and covered the arch and star with colored rope lighting. A few minutes ago, I noticed a car stopped. I guess they took a picture of it. I hope it reminds people of the Star that led people to Jesus. Instead of handing out “Jesus tracts”, I say, “Could I give you a story how my cousin saved some people from drowning? (Were Angels Watching?) and “Here’s another one, "When's My Daddy Coming Home". It tells how my father found this girl’s father who’d been missing three years.” (It has their pictures) Each story shows how God intervenes. I’ve given over a thousand and nearly all say “Thank you”. Sounding reminiscent of Martin Luther there Wade! I have often wondered as to how Protestants have drifted back toward Romanish sacerdotalism and are not currently follow in the teachings of Paul in respects of how elders are to be appointed. Thinking one could write a book on this. ‘Slide people’ make comments. The lady’s Army husband said, “Best honeymoon ever”. They got married and in a couple of days he was sent to Afghanistan, and had just returned. One blessing of living so far out in the boonies as I did for most of my life was that we were not bothered by those wanting to make a living as clergy. And we learned quickly that those that want to marry can do so at the courthouse, those that want clergy for a burial can arrange one but others may choose cremation and then a celebration of a life at home, that anyone can baptize, share the gospel, serve communion, lead a service (even if not in a "church building"), and do the work of the ministry. We never take the deduction and give only cash to prevent any government paper trail. When you get the government out of the church, and then get the organization out of the way, you can get amazing things done quickly. Yeah, Linda, but that leaves NOTHING to put in the church CONSTITUTION! How can you get anything done??!! "Yeah, Linda, but that leaves NOTHING to put in the church CONSTITUTION! How can you get anything done??!!" I confess I laughed out loud at both the truth and absurdity of what you said. It's so true. Linda - Thanks for your comment about living the Christian life outside of the formal church structures. I think many will not agree with you that anyone can baptize, serve communion, etc. but it certainly does seem more in line with the body life that Jesus gave us. We have made the local church and church leadership into something it was never meant to be. It's been interesting to read all that is going on with the SBC over the past year. As an outsider, it's kind of hard to fathom how so many people allowed (and continue to allow) such unhealthy or perhaps even lost people to lead the entire organization. There is a reason that the local church has lost so much of it's effectiveness. Many of the people who love God and desire to serve Him have left the local church. It isn't for lack of commitment to Christ, but to fully live out their faith. When they are clearly called and gifted by the Holy Spirit and are not supported by the local leadership, they leave. They answer to Christ, not a local congregation who wants to dictate what they can and cannot do. As long as local churches continue to be authority obsessed and not guided by the Holy Spirit, they will continue to lose some of the people most committed to following Christ. “We have the idea that a man called into the ministry is called to be a different kind of being from other men. According to Jesus Christ, he is called to be the ‘doormat’ of other men; their spiritual leader, but never their superior. If we are devoted to the cause of humanity, we shall soon be crushed and broken-hearted, for we shall often meet with more ingratitude from men than we would from a dog; but if our motive is love to God, no ingratitude can hinder us from serving out fellow men. Thanks for removing some comments. Your brother's poem is just beautiful! Know that we will meet you here at Heaven's door﻿"
Here is a link to her song. Sorry for 'ad' if one is there. Sallie and Linda give me food for thought regarding how we have gone overboard on our emphasizing "structure" over "function". I agree that we have gone too far in terms of creating a structure that mandates a specific process for qualifying and affirming who will be allowed to lead, preach, and teach within our churches. It has been conducive to the perverted outcome of which Wade refers related to some using "leadership" positions as the basis for having "authority" over others. At the same time, I think everyone would concede that we must have some sort of provision that protects the integrity of what is taught and who is allowed to lead participants down a path they deem appropriate. I believe that the process and qualifications specified in Scripture, in particular, Paul's letters, are there for a reason. (Call it "ordination" or whatever). We have to protect ourselves from heretical teaching, cultic leaders, or those who would lead us into complacency and inertness. How to do all that without going overboard is the challenge. Good blog! I scanned comments quickly, so I hope I'm not repeating what someone else already said. 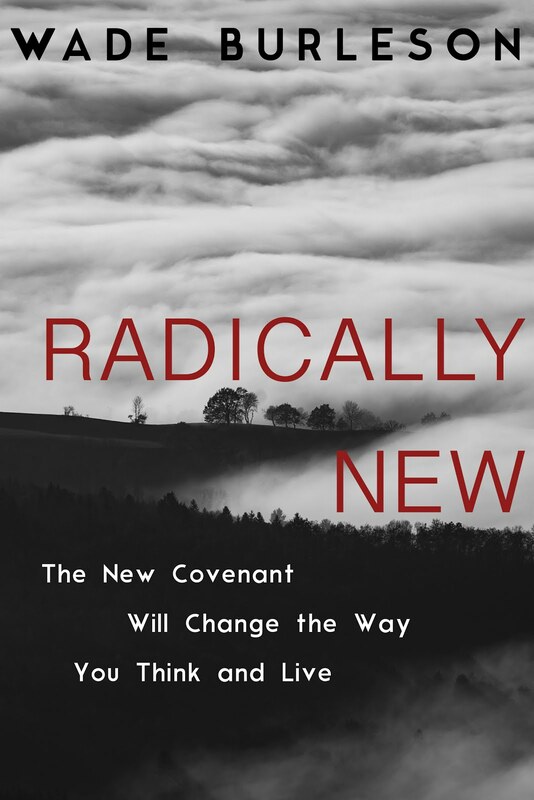 I spent 20 years in two quite conservative Baptist churches, 5+ years in two E-Free churches, and most recently, almost 20 yrs in a non-denom church but loosely affiliated with other like-minded churches (still seems like a denom to me!). VERY long story short, so far I/we have not become members in the most recent church (the non-denom) because of several issues in the past which have convinced me that those memberships did absolutely nothing for me, mostly because I am female. The situation(s) I referenced were really, really difficult and not of my own doing. 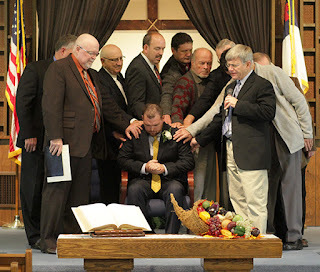 I discovered that pastors shepherd men. All that to say I'm not sure that "church membership" as we know it today is Scriptural. What does it do for the member? The membership process stresses such things as loyalty, etc., yet that was not a 2-way street. This blog sort of triggered this post. Can anybody comment to that? Thanks! My speakers don’t work, but if you could give the title of Alison Krause’s song, I could hear it on my cellphone. Our church has a women’s meeting once a week on Thursdays. It’s led by a woman to study the Bible, but I hear most of the time is spent on a few (especially the leader) telling their personal problems. At the same time, men have a meeting, but we keep any problems we might have to ourselves and discuss the Bible. Oh mommy and daddy, why can't you hear our cries? Know that we will meet you here at Heaven's door"
Anon said: "All that to say I'm not sure that "church membership" as we know it today is Scriptural." Your comments caused me to reflect on the way that a lot of Southern Baptist churches handled "membership" in decades past which no doubt continues to influence churches today. Back then, it was important to verify someone having met the qualifications for "membership" in another church prior to accepting them as members in a new church with which they sought to become members. This was done through the process of "receiving the person by letter". That meant that the new church accepted them based upon their word that they had received legitimate baptism in another church pending the receipt of a written confirmation from their former church. We held people on our church rolls who had not attended in decades and nobody even knew where they had gone or whether they were still alive. I know churches still practice these methods to a degree, but not sure why. None of this process was based upon Scripture. I can think of no passage in the Bible making such reference with "church membership". But, as in many of our church traditions, it was adhered to about as stringently as if it were "The Gospel"! There is nothing in Scripture making reference to church "membership" in the sense of someone being on the roll of a church. The concept of the "local church" structure has grown way out of proportion from what it was intended to be. Local churches are gatherings of family that live in the same vicinity. The collective body of local believers serve, nurture, support, encourage and love on one another just the way we would love on aunts and uncles and brothers and sisters and children of our family that lived in the same neighborhood. We feel that way when we visit "family" in another community, even if it's on the other side of the world and they receive us as being such. Yes, we’ve danced on the valley’s velvet floor. Yes, we’ve huddled in cold at danger’s door. We’ve lifted our voices in joy of victory’s cheer. And time has dimmed the ear and eye. It matters not if we’re early or late. Christiane, it’s sad that some get mixed up by Revelations and believe no one is in heaven now but remain in graves until later. I believe this link nails it. I believe we go 'home' when we pass from this Earth, to a place of peace and light and infinite love. but Our Lord does bring us through the crisis of death safely and leads us into life eternal. REX RAY, that poem is beautiful. Thanks for the additional content. My goodness, your family has been blessed with a talent for writing! Last night, our church had a discussion on the subject. I believe Jesus used those Scriptures as parables (earthly story with a Heavenly meaning) to teach there is a Heaven and a hell. Every major Bible translation inserts the comma before the word today. The KJV, NKJV, NASB, NIV, ESV, and RSV all agree that Jesus was speaking of the time that the thief would enter paradise. Jesus prefaced His response with the phrase, “I tell you the truth” (“Verily I say unto thee” in the KJV). Many scholars have noticed that Jesus uses this as a prefix phrase when He is about to say something that should be listened to with care. Seventy-six times in the New Testament, Jesus uses this introductory phrase. The translators have it right. The comma in Luke 23:43 belongs where they put it. I asked the pastor after the disciples saw Moses and Elijah, where did Moses and Elijah go. Did they return to their graves of bones? His answer was vague. The search for the missing boys reminds me of a search years ago for a beautiful 15 year-old-girl who was my sister’s granddaughter. I assume she was unhappy living with one divorced parent and then another. They became frightened when they found her note that said, “God will take care of me” and a rope was missing. Thick woods were searched by many over and over, but days turned into a week. Her picture is on a gravestone about 20 feet from where my marker is. She was found by crows finding her. Every year, there’s a hundred or more that take part in a walked named “Out of Darkness” in memory of her to help people become aware of suicide. It must be extra hard for her younger sister. Your story about your sister's grand-daughter is so very sad. That the Good Lord cares for her now is certain. The minister seems to be far from the teachings of the early Fathers on the subject of Our Lord's 'transfiguration' on Mt. Tabor. The early Fathers believed that Our Lord wanted to encourage the disciples to understand that He was going to His death willingly, for the sake of humankind. Our Lord showed Himself tranfigured so that the disciples would not lose faith in the horror of the crucifixion to come. Our Lord wanted them to know that He was 'a willing victim' in the language of CS Lewis. His self-sacrifice was done for love and for our salvation. As for the appearances of the others on Mt. Tabor, that was a confirmation of 'resurrection' to encourage the disciples also . . . to know that beyond the crisis of death, was life eternal with God. The 'Jesus' the disciples knew, was His human image, and when He transfigured, the fullness of the nature of His divinity became apparent to them, radiant, and brilliant. I'm not sure what your minister bases his teachings on, but he is not in tune with the early catholic/orthodox thinking, no, not pertaining to those who died 'in the Lord'. I can't stop thinking about that young relative of yours who died so tragically. That is so very sad. God have mercy. Christ have mercy. God have mercy. At least, in her confused and heart-broken condition, she still trusted God to take care of her. Poor lamb. Yes, I can’t imagine another story as sad. I’m thankful we were not around when it happened. I love the song: “He Could Have Called Ten Thousand Angels”. Jesus did not go to hell and whip up on the devil. He went there and suffered the punishment from his Father for our sins.